Remonte bring us R1402-42 ZIGZIP 81. These ladies lacing shoes are the perfect addition to your summer wardrobe. 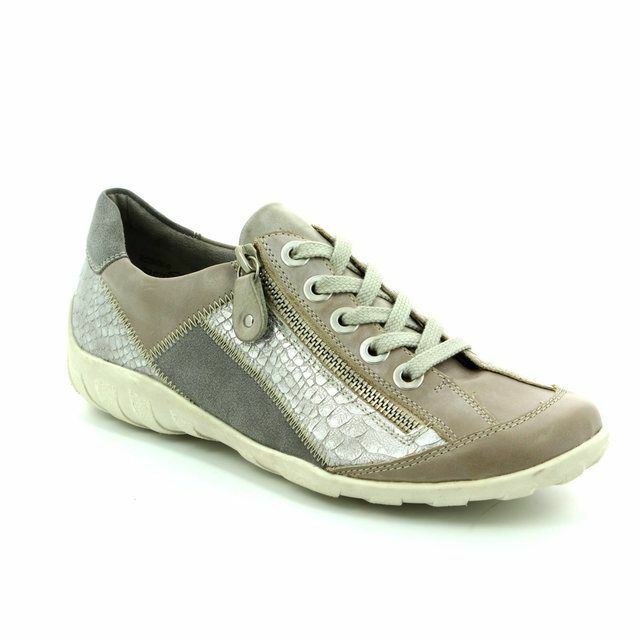 The light grey upper of these ladies shoes features a chunky zip detailing on the side for a contrasting dimension. 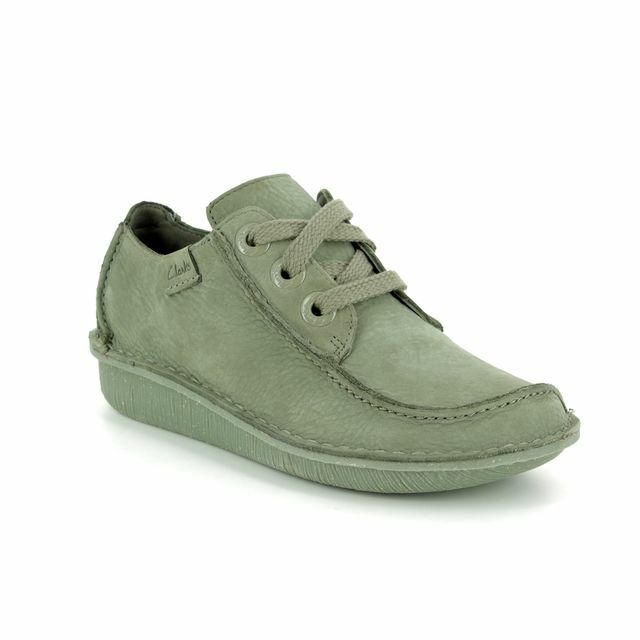 Remonte have used a lace fastening for a fully adjustable fit while the functional zip ensure these shoes are easy to use. 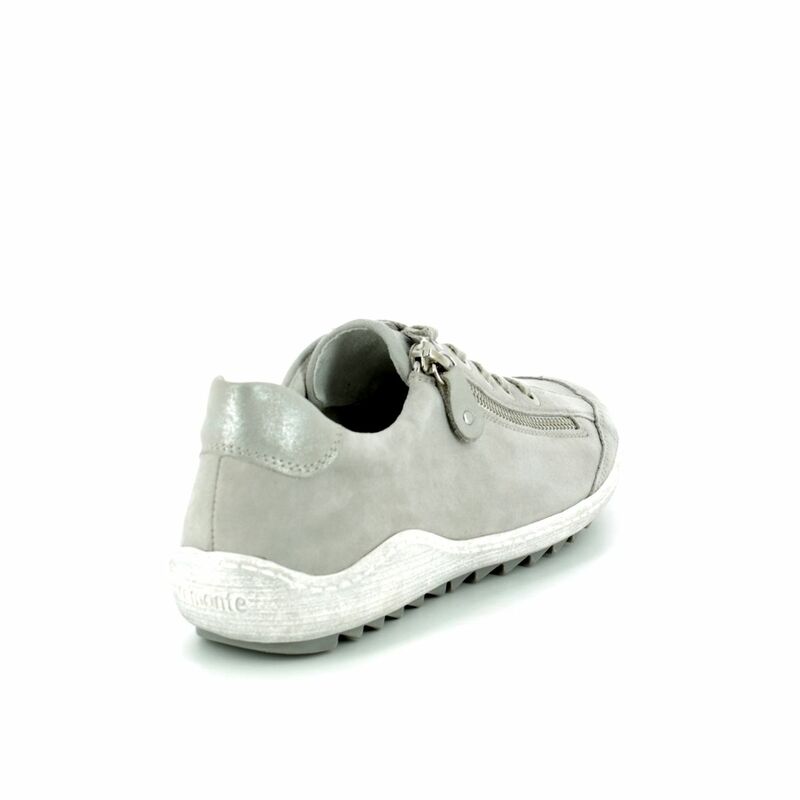 The lightweight and flexible sole unit of these ladies shoes features cleated detailing for a more sports inspired vibe while adding to the overall comfort of these shoes. 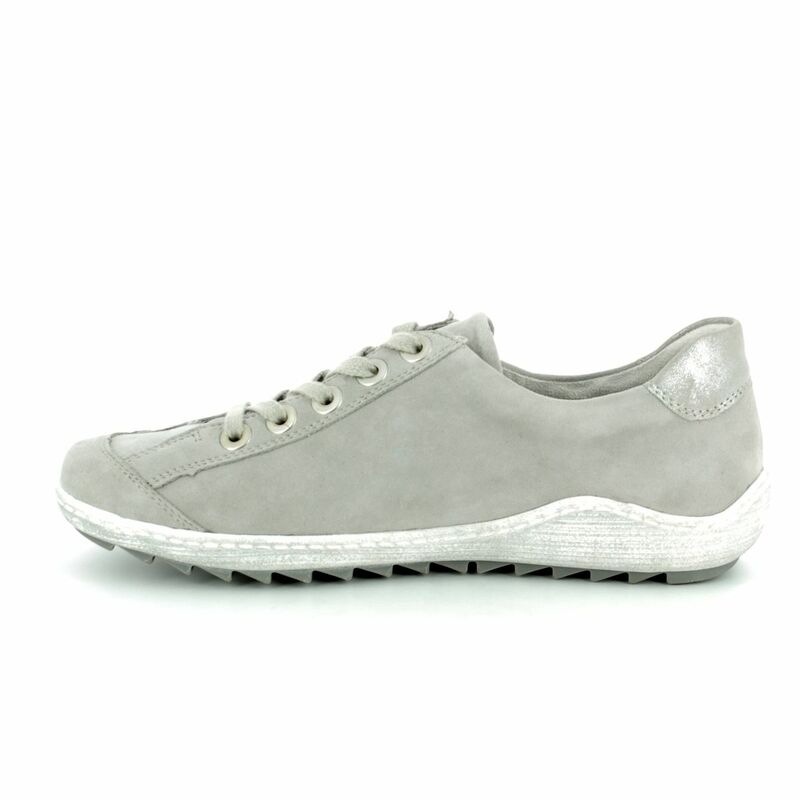 These ladies trainers are stunning paired with jeans or a dress for a casual look. Buy your Remonte ladies shoes from Begg Shoes, an official Remonte stockist.